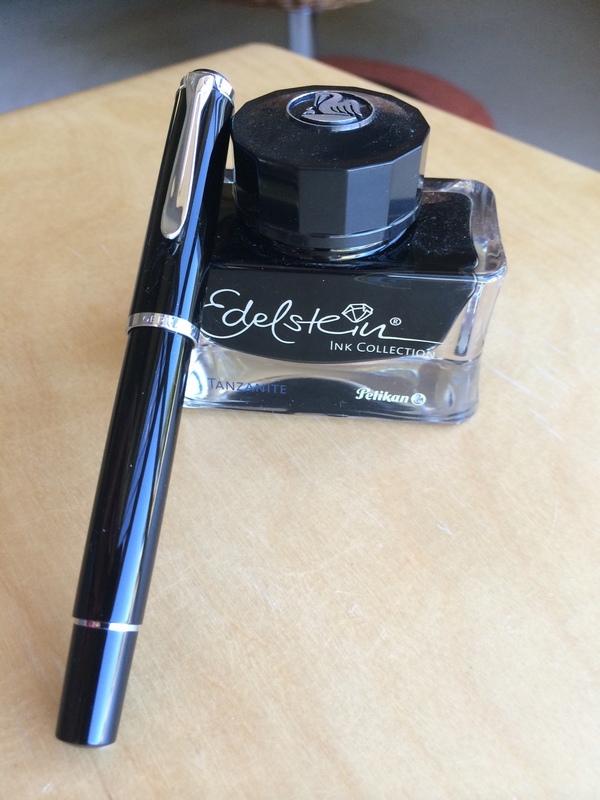 The opportunity to pick up this Pelikan Tradition M205 was a little too hard to pass up back in May of this year, with Pen Chalet offering the model at half price during a period of The Pen Addict podcast sponsorship. I was looking to add to my collection of quality fountain pens, and snapped up a black model with chrome trim and an EF nib. Ordering and shipping from Pen Chalet in the US over to Australia was quite fast, and in rapid time I was inking up the newest member of my pen family. There is no doubt the M205 is a great looking pen, with the black and chrome combination providing a classic, elegant look. It makes a great business pen – perhaps a little small in stature to be signing million dollar cheques, however I don’t sign many (who are we kidding – any) of those. It is also manufactured in Taupe, White and Red. When capped, I find a certain appeal to the overall symmetry of the pen, and although not a large pen, the body diameter through the pen barrel is perfect relative to its length. The cap itself sits proud of the body when screwed on, further accentuating the central chrome band bearing the Pelikan and Germany insignia. An additional chrome band at the clip attachment, and another towards the end of the pen at the piston filler control, provide evenly spaced breaks to the shiny black finish of the barrel and cap. The finial sports the elegant Pelikan (pelican) bird and baby logo, with the clip shape recreating a long curved Pelikan (pelican) bill. 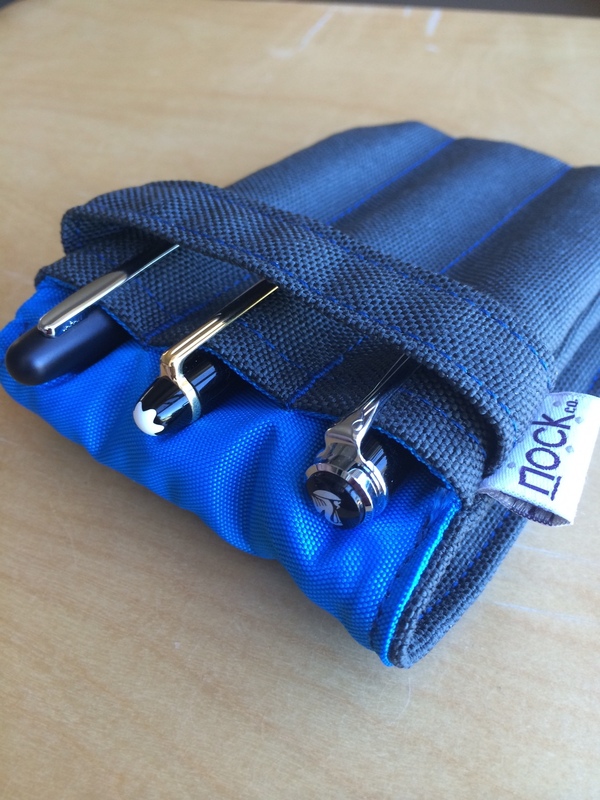 The clip itself functions well, with suitable spring, yet is smooth enough to avoid snagging on either my shirt pocket, placket, or the Nock Co. Lookout in which it usually resides. When uncapped, with the exception of the fine chrome ring at the top end of the pen, and the dark tinted ink window adjacent to the grip section thread, the body of the pen is solid black, right through to the stainless steel nib. 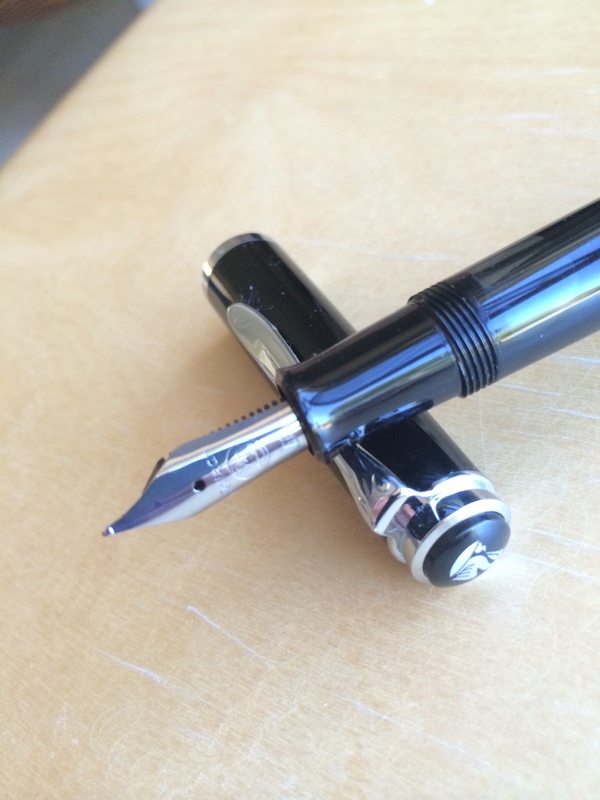 The nib itself is plain, polished stainless steel, with the logo, Pelikan name and EF inscription. Perhaps another chrome ring near the section may have been a nice addition, however would run the risk of creating a less seamless grip, and for the sake of appearance only is probably best left alone. Constructed of a plastic resin, the pen is quite light (14.8g fully inked), particularly when used un-posted (9.9g), which I tend to prefer for extended writing sessions. Larger hands may find the barrel a little short for use without posting. A three-quarter turn will remove the threaded cap, which posts securely for writing and in no way affects the overall balance of the pen. Great purchase deals aside, this is a $200.00 pen at standard retail pricing, and the expectation is that the writing experience will be commensurate with the price tag – that is, exceptional. This is where things get a little interesting. 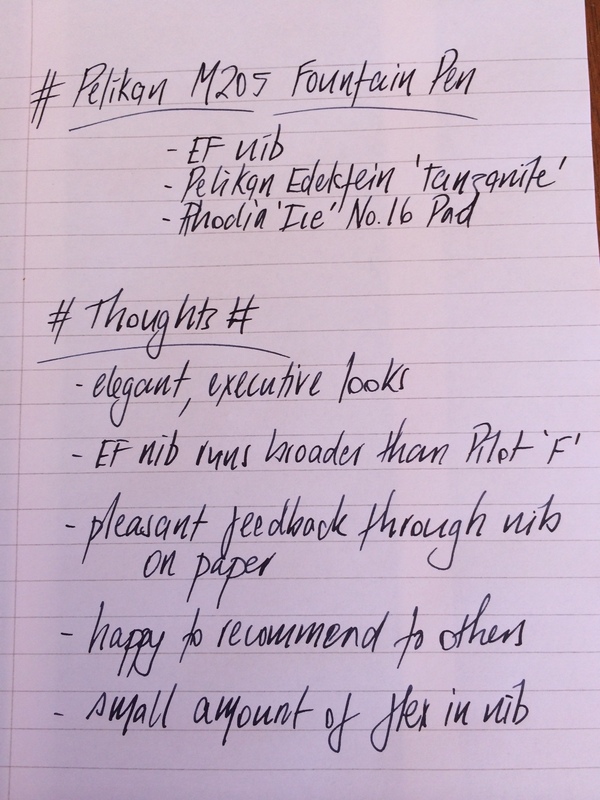 Generally, when deciding on a pen purchase which will set me back a decent sum, I tend to consult the opinions of a number of pen bloggers who have tested and reviewed the pen in question. In this instance, that was not the case, as the podcast recommendation and great deal were encouragement enough to click the purchase button. Subsequent to my purchase, I then read the opinions of those I hold in high regard who found the M205 not to their liking, and had I read these reviews prior to ordering, may never have picked up the M205 at all. Boy am I glad that didn’t happen. I love this pen. I’d encourage you to read through the articles above for a full appreciation of the issues raised, however if I could summarise, others have found the nib “sweet spot” to be quite small, requiring a good deal of concentration to keep the pen within it, if the writer is even able to do that at all. This obviously places a question mark over whether the pen is suited to all writing styles. Conversely, other reviewers have found the pen a delight to use, living up to every expectation, straight out of the box. Luckily I found myself in this camp. On balance, it is therefore difficult for me not to recommend this pen, particularly at the discounted sale price, which is again available from Pen Chalet at the time of writing. Sweet spot troubles? Myself, not so, and I would put forward a couple of theories on why that is. Firstly, although it is 17 years since I began using a fountain pen, my experience has not been widespread across different brands and nibs. Further, I have recently begun using pens with nibs a little finer than what I was previously used to, and in part appreciate the increased feedback of the finer nibs on the page. Here I am also acutely aware of the fine line between “feedback” and “scratchy”, believing I can appreciate the difference, however my experience on this may differ to a more experienced hand. When testing further to get my thoughts together on this, I wrote with a more expensive pen (Montblanc Meisterstück Classique 14K gold M nib) and a couple of cheaper ones (Pilot Kakuno steel F nib and Pilot Metropolitan steel F nib) on a rotational basis line by line down a page for quite some time. There was a clear difference in feedback from the Pelikan and Pilot nibs when compared with the Montblanc, likely due in part to the change in nib size, though of course material and manufacture no doubt play a part. I could go on and about the ins and outs of these comparisons, however at the end of the day, my point is – for me, this is a great pen, and one I enjoy using very much. This is a fact I am certainly thankful for, as again, great “50% off” deals aside, $100 of my money still went on this pen. Whether or not $100 is too much for a stainless steel nib is for you to decide, however perhaps just shy of $200 is. In my experience, the M205 writes extremely well, and I have not had any false starts, skips or unintended line variation in the three months I have used the pen, irrespective of the ink used. As expected, the stainless steel European EF nib was still broader than the Japanese Pilot F nibs in a direct comparison. 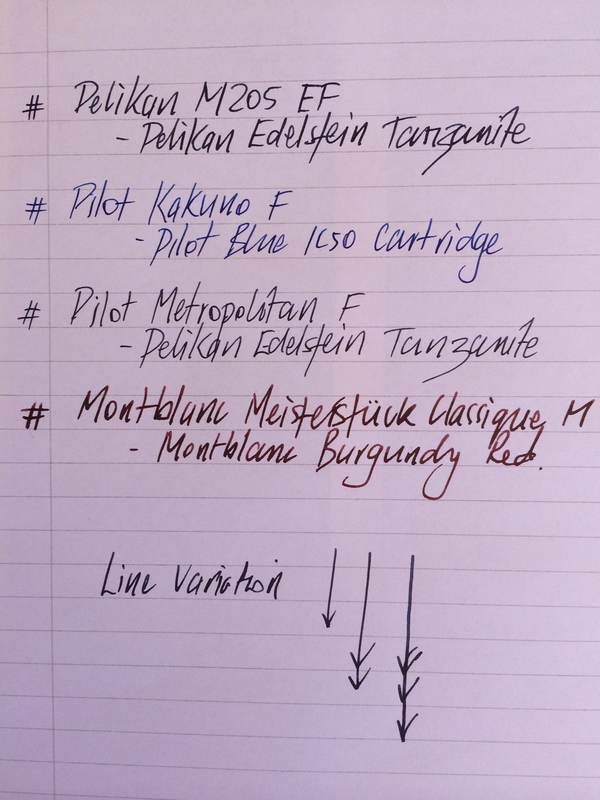 The writing sample below shows the Pelikan EF compared with a Pilot Kakuno F (Metropolitan F results equivalent) and Montblanc M, along with line variation achievable with varying levels of pressure, as the nib does demonstrate a small amount of flex. I would also point out here that when inked with something like De Atramentis Permanent Blue, which I have found to be a fairly wet ink, the line is considerably wider than seen with the Pelikan Edelstein Tanzanite used in the image below. The Pelikan M205 is a pen I am very glad to have in my collection, and is one I could happily write with all day. Its looks are commensurate with the writing performance, and it is a pen I use at times in the office, given it’s classic, elegant style. As I have indicated above, I found no issues with the nib, however others have, so perhaps that is a caveat to consider before purchasing. Whether there is perhaps a question mark on the overall value of the pen if assessed at full price, given the plastic body and stainless steel nib is a personal choice (despite the gold nib, my Montblanc is also a plastic resin). 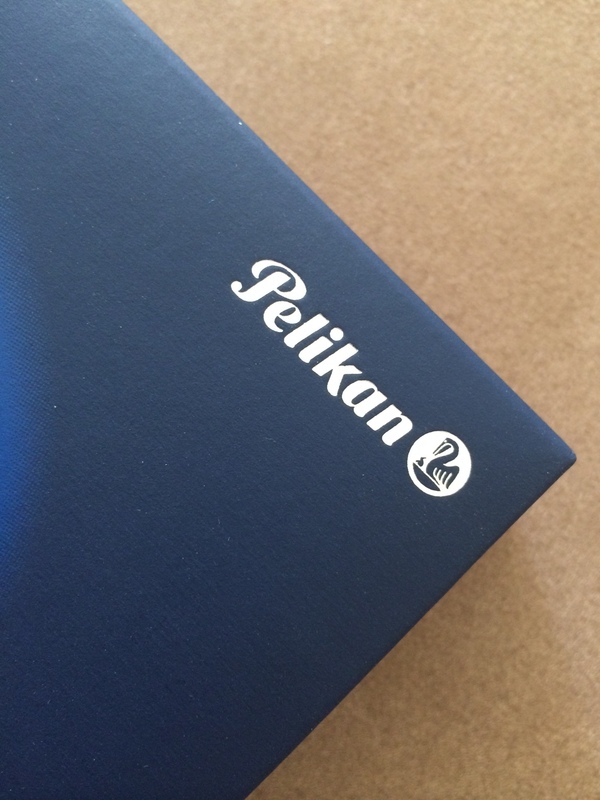 Personally, I would have no hesitation in recommending the Pelikan M205 to someone looking for a quality pen, and if you can pick one up on a fantastic deal like I did – go for it. This is a very well written review. I have the red version of this pen, with a fine nib, and agree with what you say. One of the best things about it is that the nibs on all of the Pelikan 200, 400 and 600 series pens can be swapped, as they are all the same size. This gives a considerable amount of choice to the user. Nibs can be bought on the internet from retailers like Cult Pens in the UK and mailed to Australia. 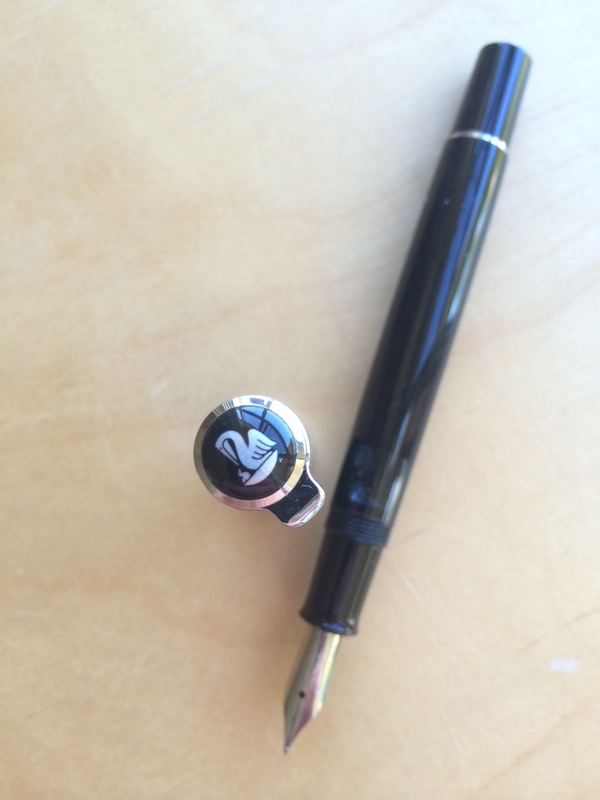 If you like this pen, you might also like the Pilot Custom Heritage 92. This is a similar size, a piston filler and has a 14k gold nib as standard. To my knowledge, it is not even sold in Australia but can be acquired for about US$120 direct from Japanese retailers on the internet. It is a very good pen. Thank you. Funny you should say that, I have been increasingly drawn to the Custom Heritage after seeing a few reviews of late – another for the wish list! The M205 is my sole Pelikan currently, however I’d hope to perhaps improve on that down the track. I’ve also not bought any additional nibs so far – so much lies ahead to tinker with. Thanks again for stopping by. Sorry, but I should have mentioned a couple of sellers to check out for the Pilot Custom pens and other Japanese fountain pens are, http://www.engeika.com and pisuke2005 on ebay. Both have great prices and very good customer service. Shipping to Australia is about $10 to $15 and is pretty quick. I found out about them through FP Geeks. I hope that this helps you. Absolutely- any advice is always much appreciated!